We proudly present for your consideration, this stunning TV cabinet in a stunning mahogany finish. 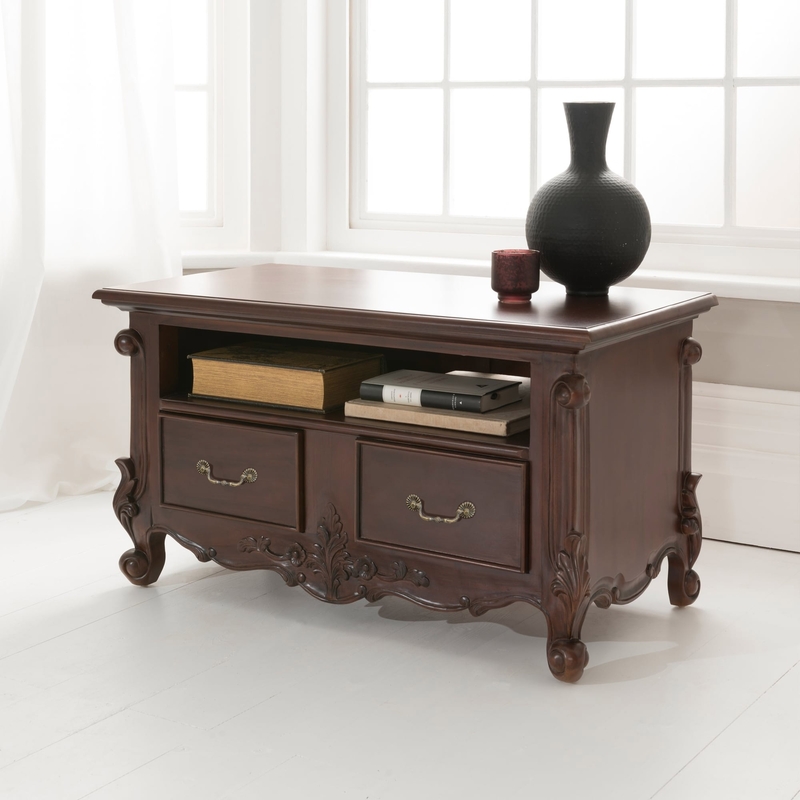 The marvelous soft curves and delicate carvings are the primary features of our antique French furniture collections. This TV cabinet is the ultimate in 'boudoir elegance' inspired from the 18th century where elegance and luxury were the order of the day.